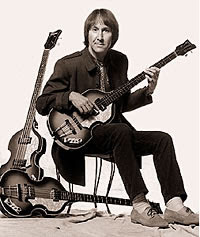 It's a sad day in Retroville with the news of the passing of Doug Fieger, the American lead singer of new wave group The Knack and the co-writer of the number one track from 1979 "My Sharona" after a six year battle with cancer. Doug died on Valentine's day. Doug formed the band with three other musicians in 1978 after a few failed attempts at having a successful band. The Knack teamed up with producer Mike Chapman who was responsible for some hits by Blondie, Nick Gilder and Exile. They cut all the tracks for their first album in pretty much one take and that was what gave the album that energetic live feel. The whole album was done and ready to press in eleven days at a total cost of $18,000. It was one of the cheapest albums to ever go Platinum. It went gold just thirteen days after its release. Their biggest hit was the catchy if not annoying My Sharona from their first album. It spent six weeks at number one on the Billboard's Hot 100 in the U.S. while the album spent five weeks at number one. Rather than giving you My Sharona which you've heard atleast three thousand times, here's one of their followup hits that isn't as well known but still pretty cool.